The 2014 tobacco marketing season is about to come to an end. For some it has been a very troubling season and others were very satisfied. The 2014 season rewarded those who had contracts. Prices and grading seemed consistent from last year. For those who are unhappy, most occurred because of the lack of a contract. Most prices for un-contracted tobacco ran from $1.20 to $1.50. I am sure there are exceptions but in most cases the tobacco sold for a small amount over the actual cost. Air Force Airman 1st Class Cathy J. Chasteen graduated from basic military training at Joint Base San Antonio-Lackland, San Antonio, Texas. Chasteen completed an intensive, eight-week program that included training in military discipline and studies, Air Force core values, physical fitness, and basic warfare principles and skills. 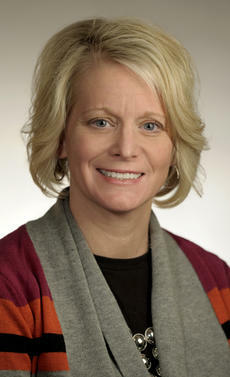 In November, Traci Taylor was named the new chief nursing officer (CNO) at Harrison Memorial Hospital, following the retirement of Wendy Reeder in October. MONDAY: Biscuit with gravy, sausage patty or cereal with toast, fruit, variety of milk and juice. Feb. 3 -- Asian Garden Buffet, 86%, thermometer not working, buffet not holding temperature at 140 degrees, items not labeled and dated, ice cream scoop in poor repair, not running water; no sanitizer for dishwasher, pans dirty, can opener not clean, hand sinks are not to be blocked. Jan. 27 -- Edgemont Manor, 100%. Jan. 7 -- Paula’s Restaurant, 97%, floors in poor repair, walls behind prep area should be in good repair, wiping cloths should be clean and use restricted. James T. Collins and Crystal Collins to Thomas W. Boland, property on Bradford Road (Lot 3 of Unit 4 of the Grandview Subdivision), $125,900. Kentucky Housing Corporation, Stephanie G. Haley and University of Kentucky Federal Credit Union to Secretary of Housing and Urban Development, property at 151 Snow Road, Sadieville, Ky, (Harrison County), $26,600. James J. Fitzgerald and Katie Fitzgerald to KB Special Assets Unit, LLC, property on U.S. Hwy. 27 (Cynthiana-Paris Pike), $2,832,500. Estate of Sheri A. Cravens, probate hearing; order entered. Estate of Katherine A. Smith, probate hearing; will admitted, order entered, bond approved. Estate of Donald R. Stephens, other hearing; order entered. Estate of Sonia Stephens, probate hearing; will admitted, order entered, bond approved. Capital One Bank vs. Shane D. Bartels, motion hour; default judgment. Feb. 4 -- At 10 a.m., a non-injury accident occurred on Ky. 1940 about three miles from the city limits. Sid Harney of Paris, Kentucky, was traveling east when the front tire blew out on his vehicle. It caused him to lose control. He went into the ditch line and struck a utility pole. Feb. 8 – At 6:40 p.m., a non-injury single vehicle accident occurred on US 27 South over a mile from the city limits. Justin Williams of Licking Valley Road struck a deer. Jan. 31 -- Melissa A. Hackney, 46, was arrested on U.S. 27 South at Walmart and charged with third degree criminal trespass. Jan. 31 -- Chasity D. Angel, 33, was cited on East Bridge Street for improper equipment, inadequate silencer (muffler) and license to be in possession. Feb. 1 -- Martin C. Mastin, 44, was cited on North Poplar Street for no/expired registration plate, failure to maintain insurance and no registration receipt. Feb. 1 -- Lisa Hall, 24, was arrested on a Harrison County warrant.